Ninjago Cupcakes, a photo by CAKE Amsterdam - Cakes by ZOBOT on Flickr. 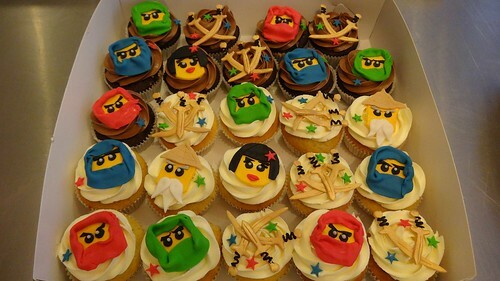 How cool are these Ninjago cupcakes!? Second to last order from one of my favorites clients who are moving back to the states! You guys will all be missed!